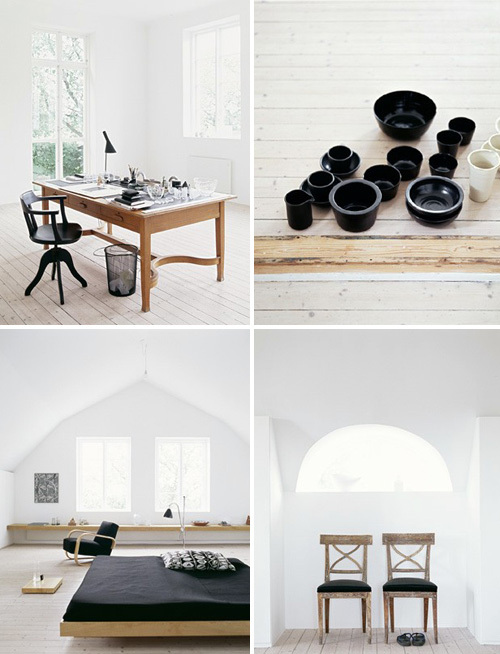 Black and white interior inspiration from the portfolio of Janne Peters. I love decorating in black and white! It gives you a great chance to add a pop color to your accessories! I’m reminded constantly why I need to paint my floor white. Too bad it’s such a tedious job!